Bert & Jeanette DeBruin. Photo by EPIC Photography Inc.
Bert DeBruin drinks coffee. For most people, that fact is insignificant, but for Bert and Jeanette, his love of coffee is part of the grit, the history and the determination behind the rise and success of AltaPro. AltaPro is a leader in the electrical design-build industry and lives its motto everyday: Our trade is electrical. Our expertise is design-build. Our strength is people. In the span of 30 years, AltaPro has completed nearly 1,000 projects, including high-profile industrial assignments for Enbridge, Suncor, Baker Hughes and Weatherford, as well as commercial projects such as, the Pylypow area developments, Boyle Street, Double Tree West Edmonton Hilton, Athabasca Multiplex Center and the WSP building, to name a few. However, getting from point A, which saw Bert and Jeanette drawing up invoices on the kitchen table, to point B, a stunning multi-level office with a pre-fab shop and training centre where field staff receive hands-on training before being dispatched in the company fleet to complete jobs across Alberta, was not an easy journey. With this program, Albertans could go on unemployment insurance and work when jobs were available. The employer paid the staff for the days he had work for the crew and the government covered a percentage of the wages for days when there was no work. Bert was unhappy with this situation, and he was determined to do something about it. As their small business progressed, Bert parted ways amicably with KVR and that’s how this 30 year old company was born. AltaPro’s humble beginnings included a modified camper truck where Bert stored all of his supplies until the DeBruins purchased an acreage west of Edmonton in 1987. This was a convenient location for Bert to enlist Jaclyn, Andrea, and David as his first part-time employees, developing their math skills, sorting materials like screws and marettes. 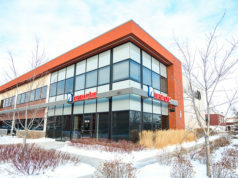 A few years later, AltaPro upgraded to an industrial office/shop in west Edmonton. 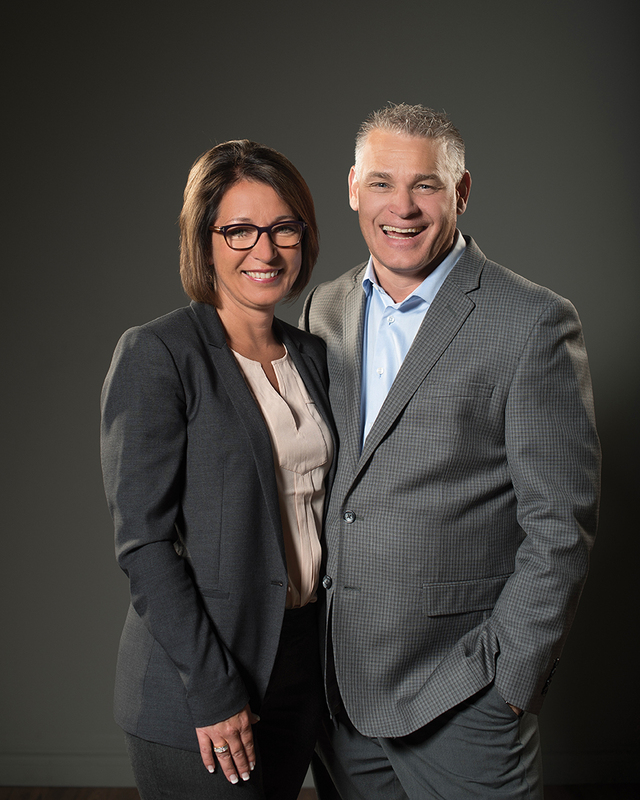 Bert and Jeanette also shared the space with another up-and-coming electrical company, and their close friends, Rick Wierstra and Don Dehood. 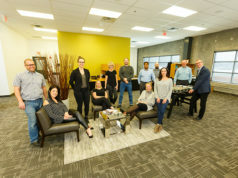 The DeBruins treasured the time they spent working shoulder to shoulder with their industry friends at Profile Electric. Although AltaPro succeeded in obtaining contracts, the real challenge was collecting funds from their clients on time – if at all. Collecting funds was an uphill battle, and they fought it side by side. The couple worked out a lean budget, one which gave Bert $2 a week for coffee. “But I didn’t like coffee,” Bert points out. “I only liked hot chocolate, but unless you had coffee, you couldn’t get free refills. On my allowance, I could only get a couple hot chocolates, but no toast. If I wanted toast, I’d have to start drinking coffee. So I started drinking coffee.” He pauses in his narrative to take sip of that very beverage that represents one of the sacrifices he made to get AltaPro off the ground. These days he blows his $2.00-a-week coffee allowance, by just a bit! During the day, Jeanette continued to work at the bank. After her shift, she would do AltaPro’s bookkeeping – and she had no patience with clients that didn’t respect their hard work. When one client, for no good reason, kept delaying his bill payment, Jeanette and her children paid him a visit in his office. It was raining, muddy and wet. The client’s office was newly renovated. The determined troupe marched through the mud, into the office, and onto the couch – in their very muddy boots – where Jeanette declared a sit in until the bill was paid. Thankfully, not all collections needed that level of determination, and bit by bit, the company started to grow. Alberta, too, started to recover from the recession. The DeBruins continued on their chosen path. AltaPro was awarded the design-build contract for Edmonton’s Law Courts building, a project that had them create a special courtroom where seven several different languages could be translated simultaneously. The expert level of design and workmanship won AltaPro an award, which was delivered with a handshake from then-Premier, Ralph Klein. 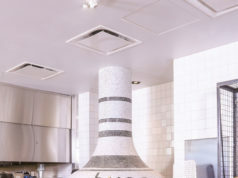 Following the Law Courts project and the boost in reputation it gave AltaPro the opportunity to engage in, larger design build projects and collaborations, alongside with the likes of Terry Kemp from Kemway Builders and Ron Mah from SMP Engineering, followed. 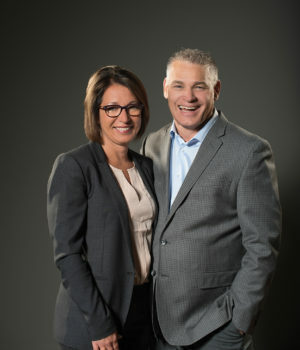 While Bert’s electrical expertise and unrelenting determination are key factors in the growth and success of AltaPro, the fact that Jeanette stood by his side during the lean and difficult years, provided the company’s accounting and administrative services, and now steers the ship with her husband and takes care of the company’s human resources and managing her staff, is equally important. AltaPro engaged the services of the Bohm Meyer Group to help grow the company’s culture. Bert and Jeanette work hard at providing an exceptional employee culture in the office and in the field while continuing to adopt technologies that will enhance the company’s productivity. It’s no longer about getting projects – those, they hope, come in on reputation alone – it’s about treating their people right and the intentional development of leaders in the company. Having lived through four recessions, Bert and Jeanette know what works, and what doesn’t, in this current economic downturn. “Nowadays, more than ever, with jobs being so tight, teams are picked by price alone – but that doesn’t work. It would be like the Oilers putting out a new team of different players on the ice each game and wondering why it’s not working,” notes Bert, going on to say that sacrificing expertise and quality for price is more expensive in the long run. “That is why we prefer to work with the same teams of people. Our clients know our standards and our team knows what is expected of them,” agrees Jeanette. “As people of faith, we trust in God and we pray for our people and projects every night. Really, it’s about developing your given talents to the fullest and being good stewards of what God has given you. It’s about remembering where you came from and giving back to your people and your community.” These thoughts are evident on their website updates where donations of time and energy to support many charities are listed. In 2007, AltaPro achieved another milestone and took on new shareholders who were long-time employees. What’s next? These days, Bert focuses his energy on business development and new opportunities with their team, be it growing their client base to developing their service department to new markets like solar. Jeanette is grooming her staff so she can spend more time with her family and grandchildren, as well as continue her involvement in numerous committees. “The creations of systems, programs and standard operating procedures which we can leave behind for the success of our people is important,” they agree.